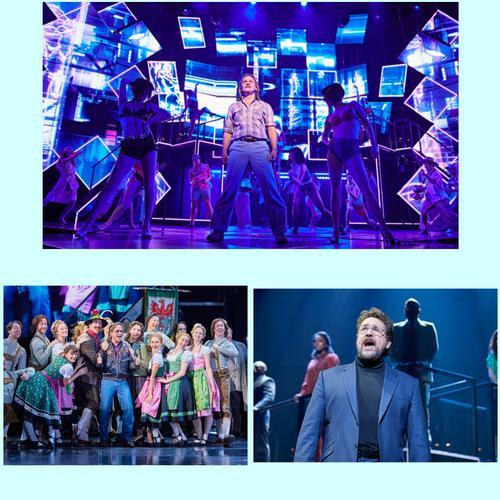 Being a keen chess player and admiring the all-star cast I was convinced I was in for a theatrical treat with the West End’s first major revival of the 80s musical - with music by Benny Andersson and Björn Ulvaeus of the pop group ABBA, and lyrics by Tim Rice - in more than 30 years. On stage were Michael Ball, Alexandra Burke, Tim Howar, Cassidy Janson and Cedric Neal. This could not disappoint, could it? Described as a story of love and political intrigue set in 1981, the plot sees two chess masters battling for the world title as their respective countries (USA and USSR) try to manipulate the event for their own political gains. The story flows through a series of spectacular musical set pieces led by the outstanding English National Opera’s Orchestra and Chorus, and solos from Ball and Janson in particular brought a packed audience to its feet. The problem was that the production was so big, and the harmonies so aplenty that it was almost impossible to follow the nuances of the story. There also really wasn’t a lot of chess, which admittedly may only disappoint nerds like me. There were big screens on either side of the stage showing close ups of the characters throughout the performance. Sometimes it was handy to help understand what on earth was going on and often it felt like a distraction. Although for those who sit in the balcony section the screens are a useful way of watching because part of the poorly designed set is obscured due to distance and height. You can still catch performances of Chess at the Coliseum until 2 June.